In the past years, various initiatives have been taken to promote and coordinate the sharing of spatial data from multiple sources. These initiatives are often referred to as a whole with the term “spatial data infrastructure” (SDI), which can be seen as the collection of technological and organizational components oriented towards facilitating and coordinating spatial data sharing. Coordination, which can be defined as the alignment of tasks and efforts of different actors, is seen to be one of the key aspects of an SDI. Although several authors have stressed the importance of coordination in the context of SDI development, little attention has been paid to the impact of coordination efforts on the process of sharing spatial data to different users. The objective of this chapter is to explore whether coordination in the context of SDI contributes to the degree of spatial data sharing. 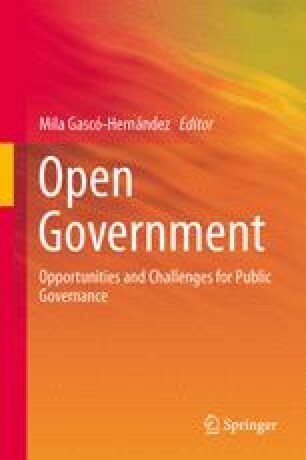 The chapter makes use of evidence collected in a comparative case study of four public sector processes in the region of Flanders (Belgium). The results of this case study show that spatial data sharing can be coordinated at the level of individual organizations, the process, and the entire infrastructure (or SDI). The chapter concludes that the noted differences in the degree of data sharing between the various processes could not only be related to different levels of coordination efforts at the process level, but also to the extent of integration of these processes in the larger infrastructure. Craglia, M. (2003). GI in the Wider Europe. GINIE consortium. http://www.ec-gis.org/document.cfm?id=477&db=document. Accessed 1 Oct 2007.